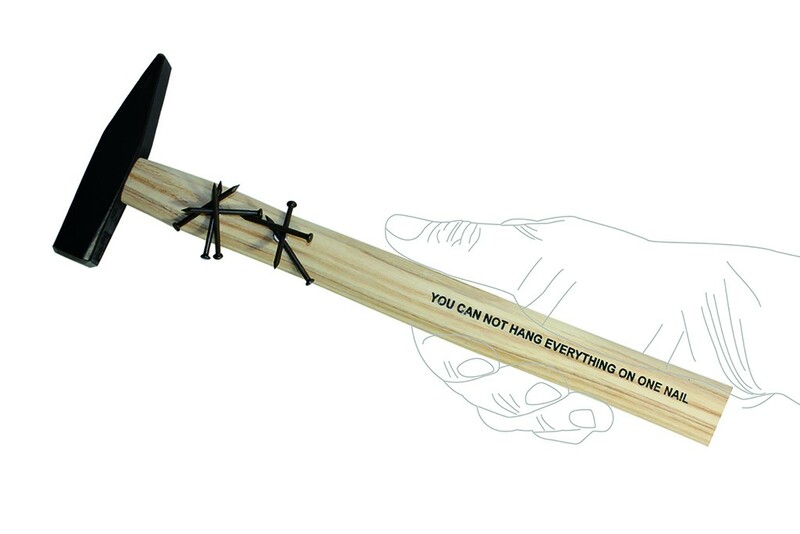 This hammer consists of a metal head and a wooden handle with quote that says: 'You cannot hang everything on one nail'. There are 2 strong magnets worked up in the handle that make sure you always have your nails within reach. From now on there is no need to search for misplaced nails or to run the risk of swallowing one. Hammer with quote, 2 magnets and 7 nails by the German brand Raumgestalt. Presented in stylish cardboard packaging.